Dr George Marinos completed his medical degree with honours (MB BS Hons) at the University of NSW in 1982. He was a resident and a registrar at Prince of Wales and Prince Henry Hospitals and then completed his Advanced Training in Gastroenterology and Hepatology at the Prince of Wales and Royal Prince Alfred Hospitals (FRACP – 1990). Dr Marinos then worked and studied overseas at the Kings College Hospital, London for 5 years where he completed his MD thesis (1996). In 1996 Dr Marinos began his private Gastroenterology practice in the Eastern suburbs and founded South Eastern Gastroenterology. 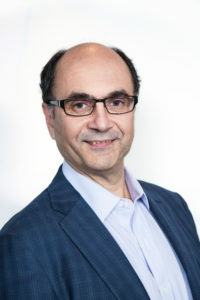 In 1997 Dr George Marinos co-founded the Australian Breath Analysis Laboratory to provide C-13 Urea Breath Testing to detect Helicobacter pylori and Hydrogen Breath Testing for determining lactose intolerance for GPs throughout Australia. He remains its Senior Medical Advisor the Australian Breath Analysis Laboratory. In 2001 Dr Marinos co-founded the Maroubra Day Surgery. In 2,005 he also co-founded the first intragastric balloon clinic (Gastric Balloon Australia), who are now Australia’s leaders in endoscopic bariatric procedures and research. In 2006 Dr George Marinos co-founded GP Grand Rounds an independent teaching organisation providing continuing medical education for GPs throughout Sydney and rural NSW. Currently Dr George Marinos has private rooms in Randwick and consults patients regarding intragastric balloon at Double Bay. He is a consultant specialist Gastroenterologist with full admitting rights to the Prince of Wales Hospital (VMO – Visiting Medical Officer) and a Senior Lecturer with the Faculty of Medicine at the University of NSW. He performs his private endoscopic procedures at Double Bay Day Hospital and his public endoscopic procedures at the Prince of Wales Hospital. To make an appointment to see Dr George Marinos for a gastroenterological review please call our Randwick rooms on 02 9398 0200 or for a weight loss appointment please call Double Bay on 1300 859 059.